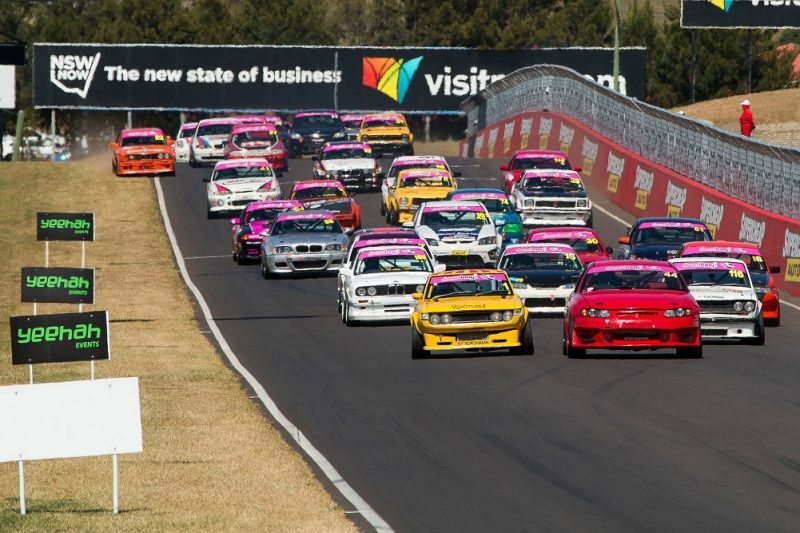 A revamped support card has been announced for the 2019 Hi-Tec Oils Bathurst 6 Hour at Mount Panorama. Organisers have confirmed that the Improved Production and Heritage Touring Car categories will join regulars Production Sports Cars and the Porsche Club of New South Wales Regularity over the Easter long weekend. Series X3 Hyundai Excel will also make a return after its first appearance this year. Improved Production has previously also featured on the Bathurst 12 Hour support bill and is expected to see a 55-car field in conjunction with next year’s Bathurst 6 Hour. “Improved Production racing at Bathurst has always been spectacular and we’re excited to be partnering with James O’Brien and the very popular 6 Hour event on our return,” said Improved Production National Administrator, Garry Mennell. “The different strengths and weaknesses of the cars involved allow them to be strong at different points of the circuit – some are better down Conrod (Straight) and some faster across the top. “That, and the huge variety in the field, from rotaries and turbocharged cars to later model Holdens and Fords, promotes fantastic racing. Heritage Touring Cars features machinery from both Group C (1974-1984) and Group A (1985-1992) including cars such as the Nissan GT-R ‘Godzilla’ and Ford Sierra RS500. “We’re the custodians of these magnificent Group C and A touring cars, and we love taking them to the track for everyone to enjoy,” said Heritage Touring Cars director, Ed Singleton. “There is no better opportunity to show them off and share them with the fans than a blast around Mount Panorama at the Bathurst 6 Hour event. Improved Production, Excels and Heritage Touring Cars will have three sprint races each, with two one-hour races set for the Production Sports Car field to take on. The 2019 Bathurst 6 Hour will be held from April 19-21.